Haton? is starting a revolution in Weather. Haton? is starting a revolution in Weather. Our mission is to provide accurate, short-term and personal forecasts based on weather reports from real people, experiencing real weather. We won’t be telling you what the weather will be doing tomorrow, instead we will help you decide whether to go for that walk, put the washing out or play that round of golf, right now. Haton? provides 4-6 hour weather forecasts with pinpoint accuracy. 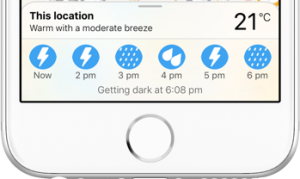 Search your exact location or zoom in and out of our easy to use maps to find your hyperlocal weather and see what’s happening in your surrounding areas. We provide essential data on weather, road conditions and we also answer the question, do I need my Haton? With easy to follow graphics get a clear picture of the weather in the exact location you want to search. Using our ‘now and later’ forecasting be prepared for any changes in weather conditions for every outing. By selecting different screens, you can also find your local temperatures, wind and road conditions. Haton? automatically accounts for humidity and wind chill to help you appreciate what the temperature really feels like. Be reminded of the essential clothes and accessories needed for your weather by choosing our clothes page. Our unique forecasting function is based on community driven real time data. Haton? is not restricted to any specific location. Use Haton? wherever you are in the world and for all your holiday and business trips. For more details please follow Haton? on Twitter @HatonWeather or get in touch using the Contact Us from the menu.